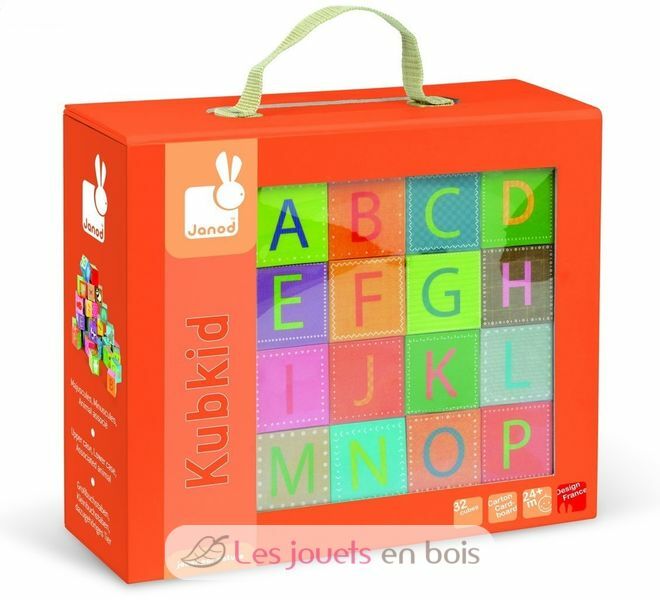 Kubkid - 32 cardboard cubes alphabet. 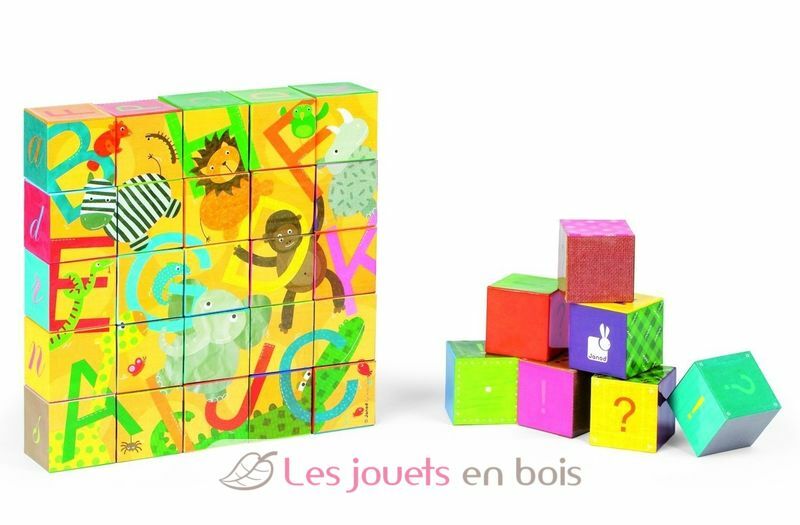 Janod's Alphabet Blocks arrive in a great magnetic box for easy storage. 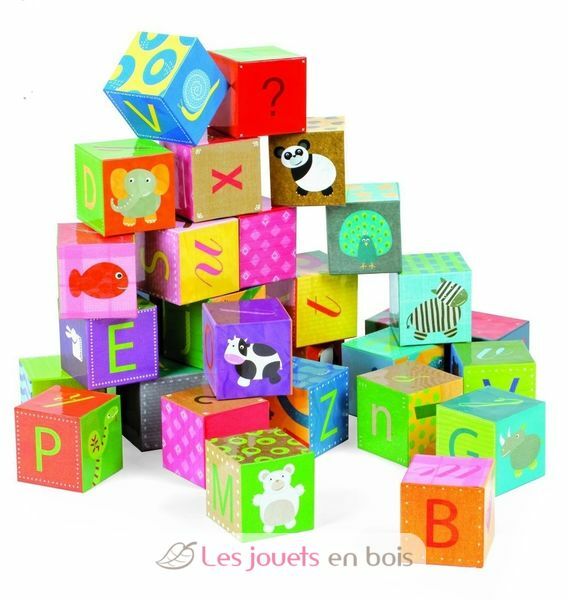 Blocks can also be used as a puzzle. 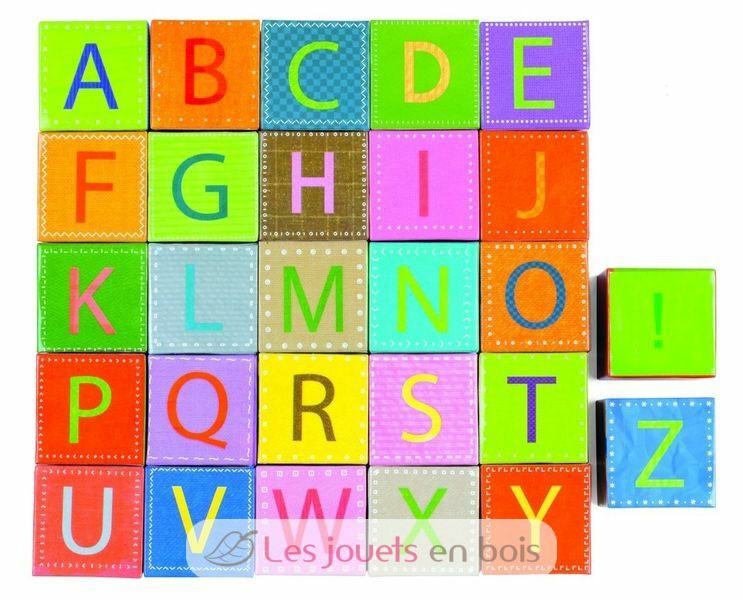 Each side of each block is printed with something different : letters (upper and lower case) and associated animals. Perfect for ages 2 years and older. Designed in France by Janod. Item number 2993.